Photo: View of the Náprstekova Museum (marker visible to the left of the archway). 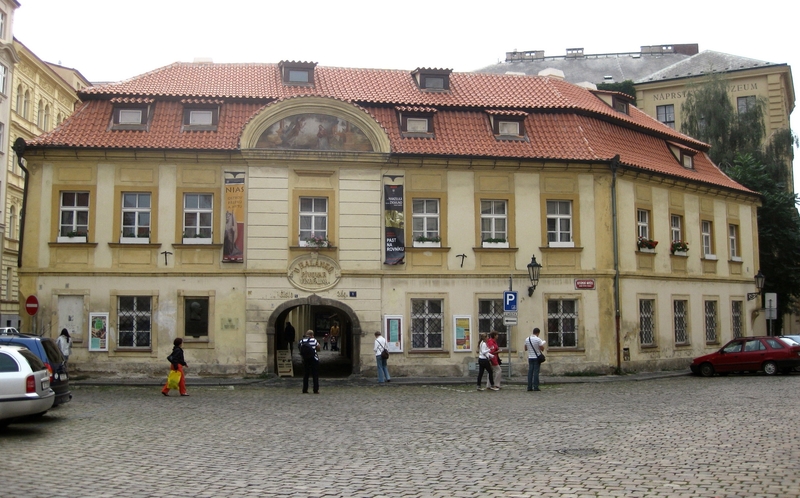 Caption: View of the Náprstekova Museum (marker visible to the left of the archway). Additional Description: Náprstek originally became interested in the ethnography of non-European cultures during his stay in Wisconsin, which had brought him into contact with the Dakota tribe. Upon his return to Prague the material that he had assembled became the core of the cultural anthropology museum that bears his name.